Who's the big, bad dinosaur from Jurassic World Fallen Kingdom? It's Indoraptor! It's Indoraptor! When we found out Jurassic World would be back with a sequel, we were pretty doggone sure they'd invent a new dinosaur to be a part of the action. But the only question was, would this new dinosaur be a friend or a foe? Well, it's most certainly a foe! That's because it's a diabolical creation cooked up in the Jurassic labs as a mix of the Indominous Rex and the always fearsome Velociraptor. Well, we'd say this dinosaur is a villain alright, but it doesn't have to be a completely terrible situation. Because now you can dress up as the Indoraptor with this Adult Jurassic World 2 Villain Dinosaur Costume! 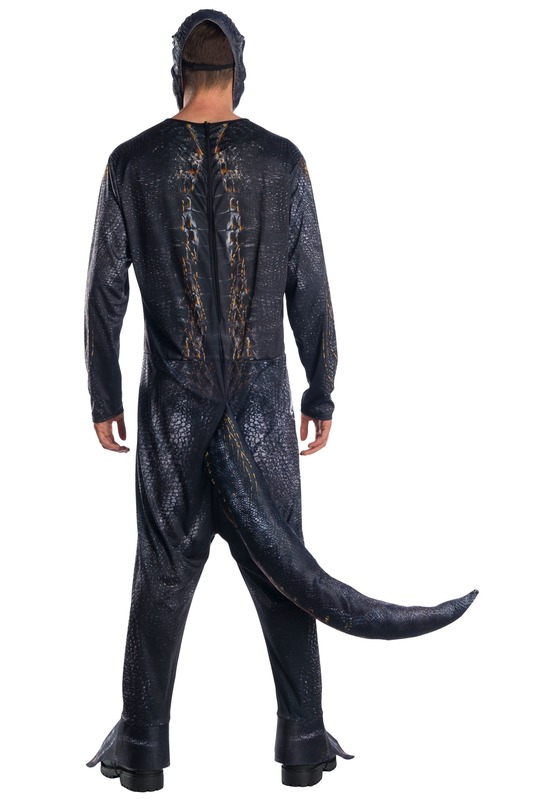 This costume comes as a jumpsuit with an attached tail. The suit is all-polyester, fully printed with dino details, and it has the Jurassic World logo printed on the hip. The tail is stuffable with newspaper or other suitable filler. The costume includes the mask, too, so you can fully get into character. We hope you have a roar or two ready to go when you suit up as this raptor! 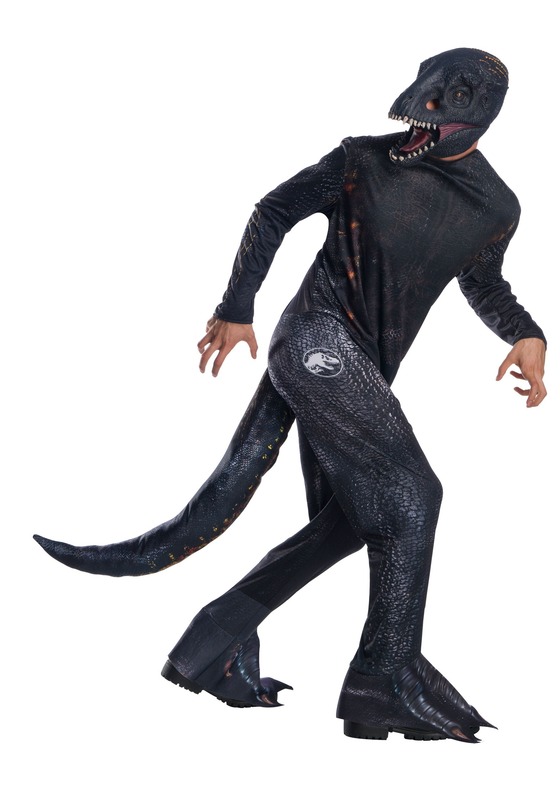 This Adult Jurassic World 2 Villian Dinosaur Costume is officially licensed, because we're all about bringing the action from the movies to life. Now, don't go twisting that and think we're saying you should go and try to eat your friends. Definitely, don't do that. Just stick with the snack tray at the party!